I think by now most know that protein is the building block of lean muscle. And most will agree that it can be difficult to consume enough quality protein per day through your meals in order to achieve the desired result from all the hard work you put in at the gym. With that, I would guess that most health-conscious athletes and individuals already supplement with a quality protein powder. But do you know that all protein powders are NOT the same, nor are they of the same quality? 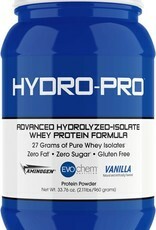 We believe that HYDRO-PRO™ is without a doubt, one of the cleanest, fastest-assimilating protein powders on the market. 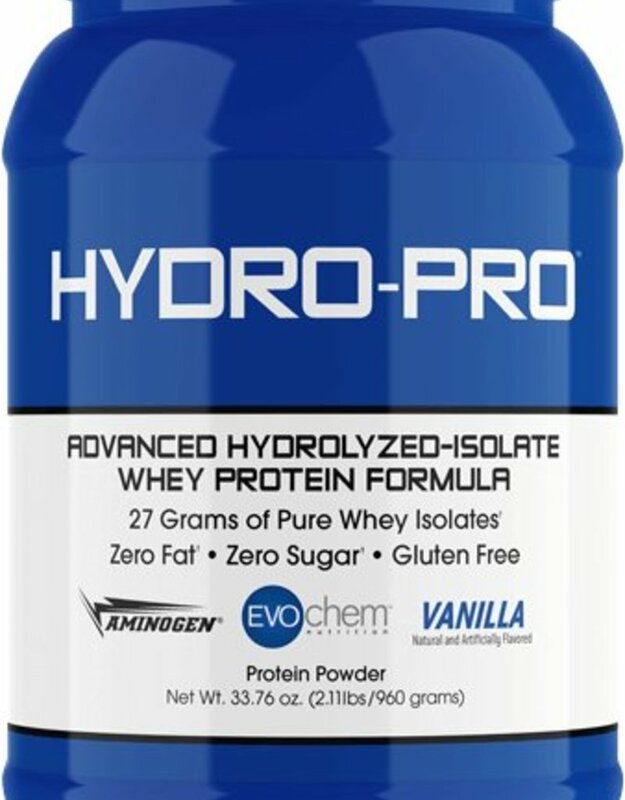 HYDRO-PRO™ is a 100% Cross-Flow Micro-Filtered Vanilla Whey Protein Isolate and Hydrolyzed Whey Protein Isolate formula developed with the serious athlete and fitness enthusiast in mind. First thing in the morning, in between meals, with meals and/or post workout, are the most popular times HYDR-PRO™ is consumed. HYDRO-PRO™ mixes instantly, contains zero fat, zero sugar, is gluten-free and provides 27 grams of quality protein per serving. 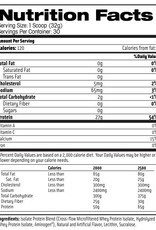 SUGGESTED USE: Mix 1 scoop in 6–12oz. of cold water or your favorite beverage. 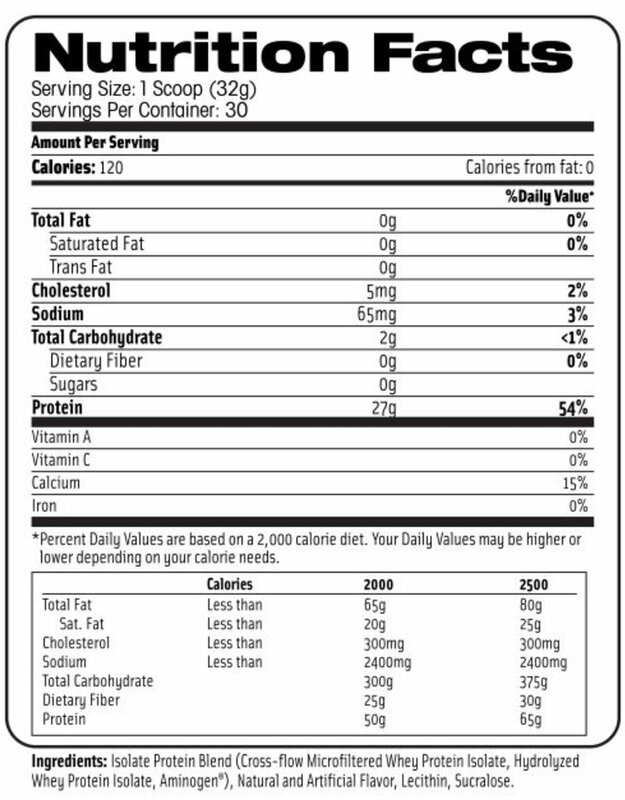 NOTICE: Do not use as a sole source of nutrition. Store in a cool, dry place (60 to 80F). Keep out of reach of children. Packed by weight, not by volume. Settling of product occurs after filling. Do not use if tamper evident security feature is broken or missing. Exposure to heat, light or air can affect flavor or aroma; therefore keep out of direct light or heat and store in a cool dark place. Keep sealed when not in use.